Kayden Vencere Bray, 3 Months and 12 Days, of Mount Vernon, Illinois passed away on April 24, 2018 at Barnes Jewish Hospital in Saint Louis, Missouri. He was born January 12, 2018 in Saint Louis, Missouri to Karim McGee and Latoshia Bray. 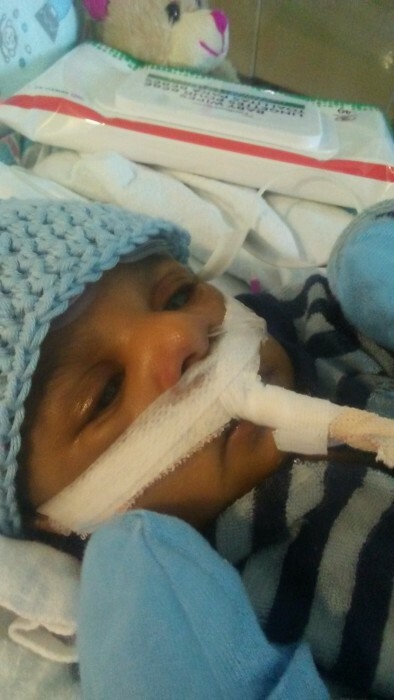 In addition to his parents, Kayden is survived by his siblings, Christeiana Bray, TaVianne Bray, Travion Bray, Jayden Smith, Iyanna Williams, Lyric Williams, Dason Williams, Dasharay,Bray, and Zamari Williams; grandparents, Kimberly McGee of Mount Vernon, Patricia Bender of The Virgin Islands, and Mary Johnson of Mount Vernon; and great grandparent, Beverly McGee of Memphis. Memorial Service: 2:00 P.M. Friday, May 11, 2018 at Hughey Funeral Home in Mount Vernon, Illinois. Call Newell Funeral Home - Mount Vernon at 618-246-0100 or visit newellfuneralhome.com for further information.